The Hydro Crunch 630-Watt Ceramic Discharge Metal Halide Grow Light System delivers a light spectrum that's much closer to natural sunlight than typical high intensity discharge (HID) systems. A higher temperature creating light much closer to the suns. Being able to operate more efficiently at higher temperatures means a boost in performance. Coverage area is 4 ft. x 4 ft., that means bigger harvest and less cost. 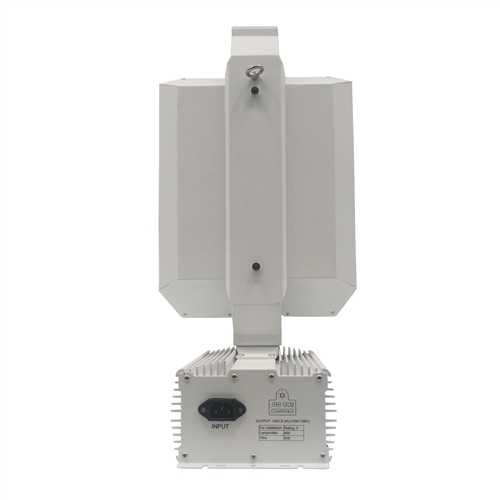 Two 315-Watt CMH Lamps (3100k bulbs) provides the full light spectrum, so it can be used for both veg and bloom stages. The lamp is optimized for the bloom phase with enhanced reds, but because it's full-spectrum, it will produce the goods in both vegetable and flower expect to see increased growth rates, tighter internodes, an improvement in overall vigor and an increase in final weight. Dimensions 24 in. x 12.5 in. x 9.5 in. Coverage Area 4 ft. x 4 ft.
Q: Are the bulbs included and if so what Kelvin temp are they? A: No, this fixture does not include bulbs. 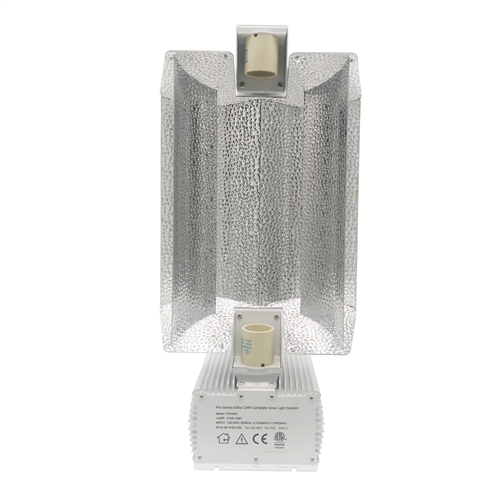 Hydro Crunch carries 315-Watt CMH Lamp in 3100K and 4200K. Q: Can you run just 1 bulb then add the other bulb later on in the grow cycle? A: It should work still but it is not recommended. Q: Can the ballast detach from the hood so it can be placed out of the growing area? 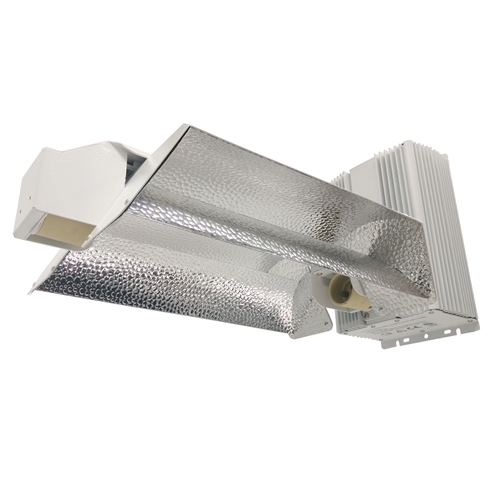 A: Our 630W Dual CMH Grow Light System (315W x 2), reflector and ballast are hard wired and cannot be detached. Note: Keep in mind because of the nature of CMH ballast (low-frequency) if the ballast is not specifically design for long range from the hood, it will not work past 3-ft distance. Q: Will these new ceramic metal halides penetrate deep in the canopy. Is the 315 comparable to a 600 watt HPS? A: The 630W CMH have the penetration of a 750W HPS. 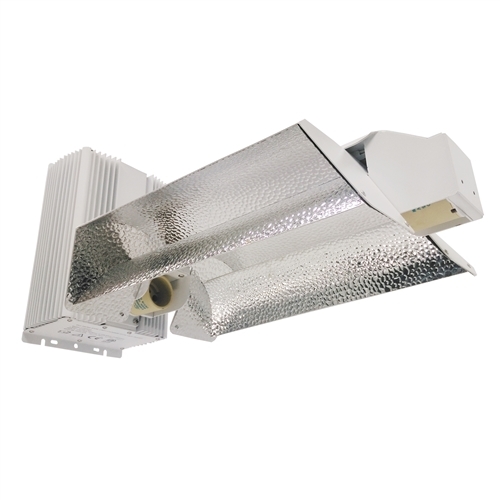 However, due to the characteristic of CMH lamps, in general increases the quality of the plant, not quantity.1 x 315W CMH is not comparable to 600W HPS. 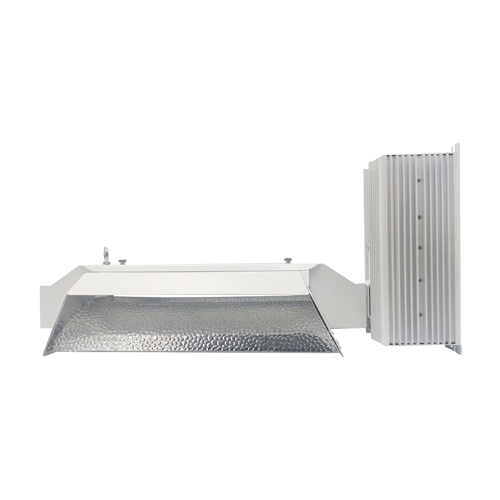 However, 2 x 315 CMH is better than 1 x 600W HPS. If you calculate electricity usage, 2 x 315W CMH is worth it in the long run.